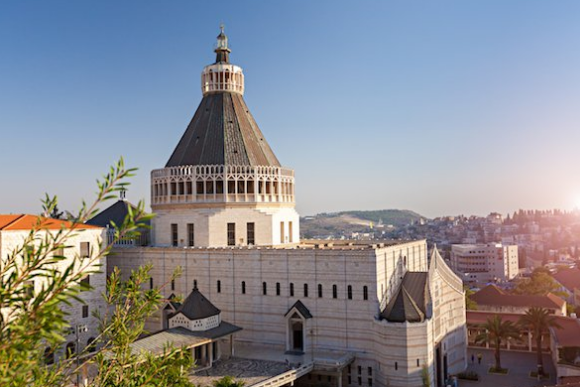 The Church of the Annunciation in Nazareth commemorates the place where the angel Gabriel visited Mary and delivered the invitation for her to bear God’s Son. The Gospels of Matthew and Luke both describe the birth of Jesus, but they disagree as to where Joseph and Mary lived before Jesus’ birth. Luke has them living in Nazareth, and records show early pilgrims traveling here to venerate this area as the place of the Annunciation. Click Here to visit the University of Notre Dame website with an interesting article about the history of this Church.